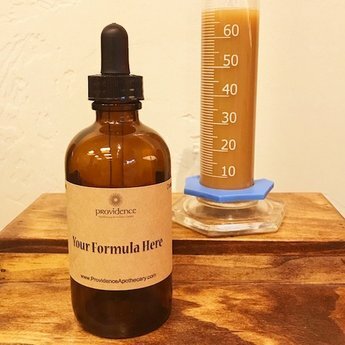 Need a refill on a custom tincture? Or, do you know just what you need in a tincture? Simply write out the formula in recipe box in this page and we'll pour it for you! Ambrosia, American ginseng*, Ashwagandha, Astragalus, Bacopa, Black Cohosh, Black walnut, Bladdewrack, Blue Cohosh, Blue Vervain, Burdock root, California Poppy, Catnip, Cassia, Chamomile, Chaste Tree (Vitex), Corydalis, Crampbark, Damiana, Dandelion root, Dong Quai, Devil's Claw, Eyebright, Echinacea, Elder berry (glycerite), Eluthero, Elecampane, Feverfew, Gentian, Ginger, Ginkgo, Goldenrod, Goldenseal*, Gotu Kola, Green Tea (glycerite), Gymnema, Hawthorn, Holy Basil, Hops, Horse Chestnut, Horseradish, Jamaican Dogwood, Kava, Lemon Balm, Licorice root, Linden, Lomatium, Maca, Milk Thistle, Motherwort, Mugwort, Mullien leaf, Mullien flower, Myrrh, Nettle leaf, Milky Oats, Ocotillo, Oregon Grape root, Osha*, Passionflower, Pau d'Arco, Prickly Ash, Poke, Propolis*, Red Clover, Red Root, Red Raspberry, Reishi, Rhodiola, Rosemary, Sage (Salivia off. ), Saw Palmetto, Saint John's Wort, Schisandra, Shepherd's Purse, Skullcap, Thyme, Turmeric, Uva Ursi, Usnea, White Willow, Wild Yam, Valerian, Yarrow, Yellow Dock, Yerba Mansa, and Yerba Santa. Please specify the amount for each ingredient. Keep in mind, not all tinctures are available all the time so there might be delays in fulfillment. If we are unable to immediately pour a custom tincture for you, we will contact you for further instructions. Call us at the store is you have any questions. 970-928-3440. *Please also keep in mind that, due to the prohibitively high cost of some tinctures, we may not be able to fulfill tinctures that have unusually high amounts of some herbs (i.e. Goldenseal, Osha, American Ginseng, Propolis). 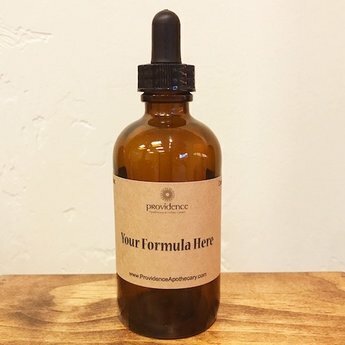 For recipes that call for high amounts of these tinctures, please contact us directly!